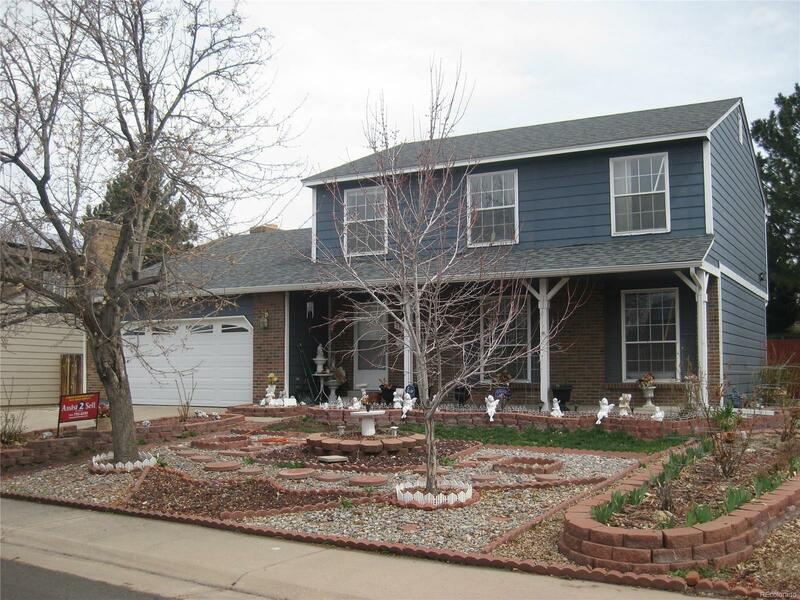 1158 South Kalispell Way Aurora, CO. | MLS# 3911059 | Assist2Sell Piele Realty | Full Service With Savings! Xeriscaped two story family home with finished basement. Nice curb appeal! Pride of ownership area! New paint inside and out! Large living room. Formal Dining Room! Great open kitchen with abundant cabinet and counter space. Large breakfast area. Sliding Glass door to wood deck and fenced yard. Huge master suite with private bath. Spacious finished basement with rec room, laundry, non conforming bedroom and storage area. Newer roof (2015). Over-sized driveway/additional off street parking. Great location. Close to 225/I70, hospitals and Buckley Air Force Base.